2018 LA Textile: Thank You! 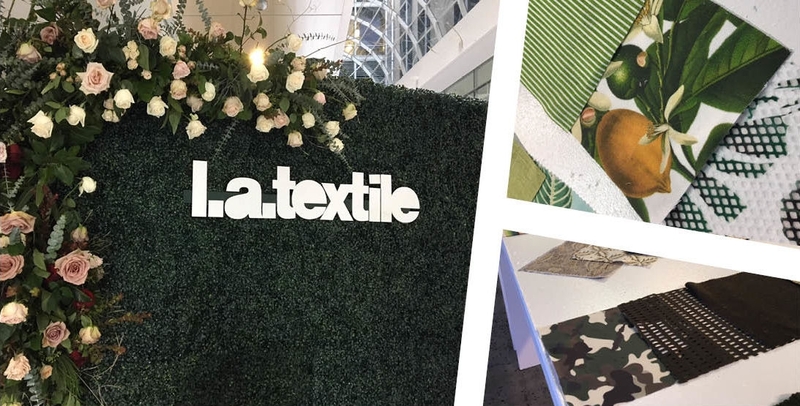 We had such a great time at the 2018 LA Textile Show! Thank you, LA Textile, for hosting yet another successful and innovative show. We are grateful for all of the hard work and planning that goes into LA Textile and especially appreciated the generous complimentary breakfast on Wednesday to kick-off the show! This year we were proud to feature and discuss our newly acquired Natural Fibers line with customers. We received a lot of great feedback and enjoyed speaking with old friends and making new ones! LA Textile is always a wonderful educational opportunity for us to learn what trends our customers are loving. Our attention-grabbing booth featured graphics printed on our Supernova fabric by Planet Tradeshow which were displayed in four Pixlip backlit frames. We would not be able to do what we do without our fantastic partners! Thank you, LA Textile, and thank you to everyone who came out to this year’s show! We’re proud to be a part of this iconic textile show and community!